Lucia Otgongerel - "The Joy of Being Alive"
Santa Rosa de Lima, is one of Peru's beloved saints. 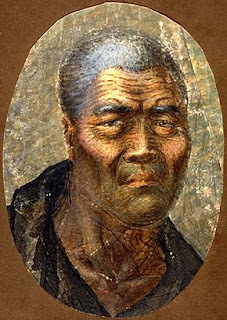 The other is San Martin de Porres who is also very much loved by Peruvians and non-Peruvians alike. 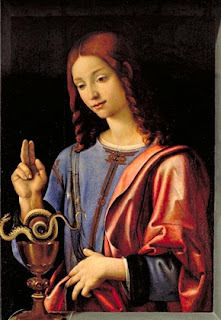 I found the picture above from my favorite Catholic news site Aciprensa If you click that link you can view a gallery of pictures. She was born in the capital of Peru in 1586. Her ancestry was Spanish. She was the first saint canonized of the New World. Although the child was baptized with the name Isabel, everyone called her "Rosa" and that was the name given at her Confirmation by Archbishop Saint Toribio. 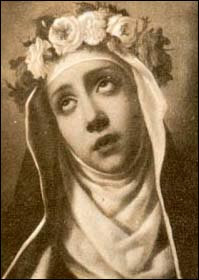 Rosa took Saint Catherine of Siena as her role model despite the oppositions and mockeries. That is how she decided to practice self-denial through humility, obedience and self-sacrifice. Saint Rose suffered much because of those who did not understand her. After enrolling in the third order of Saint Dominic, she practically became a recluse in a cabin that had been constructed in the garden. She wore on her head a thin ribbon made of silver whose interior was made of a crown of thorns. Her love of the Lord was so great that when she spoke about Him, her tone of voice would change and her face would light up as if to reflect the sentiments of her soul. This phenomenon would manifest especially in the Holy Eucharist and at Holy Communion. Later on, a commission made up of doctors and priests examined the saint and concluded that these experiences were really supernatural. They agreed that Saint Rosa's lifestyle and the ascetic practices only happened in souls called to a special vocation. The most admirable quality of Saint Rose was her great spirituality of saintly heroism because all the saints whether in the world, the desert or in the cloister, possess the common characteristic of having tried to live for God in every single moment. Those who have the pure intention to comply in all the will of God, will be able to serve with fullness in everything they do. Saint Rose died on August 24th, 1617 at the age of 31. She was canonized by Pope Clement X in 1671. Shared by Steve Silvia Long video but beautiful music and imagery. On August 22, the Catholic faithful honors the Memorial of the Queenship of the Blessed Virgin Mary. The feast recognizes Mary’s close association of the redemptive work of her son, Jesus Christ. 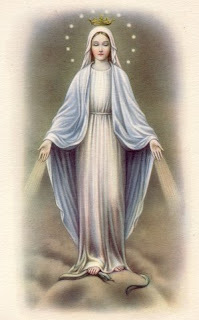 Mary shared the work of the divine Redeemer, in His struggles against enemies and in the triumph He won over them all. From this union with Christ the King she assuredly obtains so eminent a status that she stands high above all created things; and upon this same union with Christ is based that royal privilege enabling her to distribute the treasures of the kingdom of the divine Redeemer. 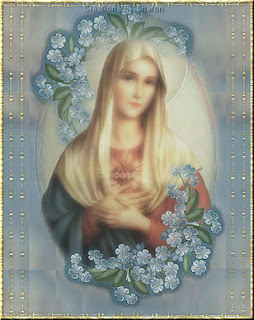 Mary is three times Queen: The Queen of the world, the Queen of Heaven, and the Queen of our hearts. And lastly, this same union with Christ is the fountain of the inexhaustible efficacy of her motherly intercession in the presence of the Son and of the Father. But the Blessed Virgin Mary should be called Queen, not only because of her Divine Motherhood, but also because God has willed her to have an exceptional role in the work of our eternal salvation. 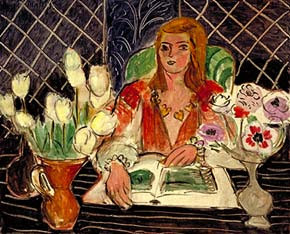 This week we will featured works of art that are housed in the Honolulu Academy of Art. My family and I visited this local museum a week or so ago. I hadn't really taken the time to go through all the galleries in a long time. For me it was sheer joy rediscovering all the masterpieces that I had forgotten were here in Honolulu. As you can imagine, this museum has a magnificent collection of Hawaiian art as well as Oceania, and Asian Art. A sampling of the Hawaiiana can be found below. What was more surprising to me is the large collection of Religious art that is there, especially Catholic art by famous artists. 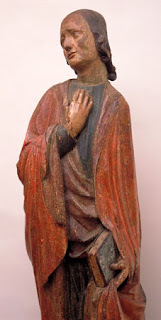 The HAA also has a large collection of Santos or statues of saints. They have quite a large collection of these small statues displayed on the wall. They also have a very large statue of St. Thomas Aquinas and the Dead Christ. Very impressive to behold! This one is worth repeating. At the local Goodwill Store.. I've called and checked with C.S.D .. So I'll decide what's best. " A favorite dish of mine." To watch on my VCR?" Shared by John via email. 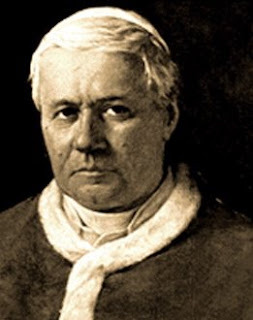 Today is the feast of the "Children's Pope", St. Pius X. There are many good posts out there, like Veni Sancte Spiritus' post or The Catholic Fire's post. Mahalo to Murph for sharing this with me. 5 minute award winning film. It is absolutely beautiful . . . . Won Best Short Film from Mexico at Cannes Film Festival. Please take the time to watch. I've had the chance to reflect on our marriage together After watching that tear-jerker The Notebook the other evening with my husband. And, although we have had our ups and down just like any other couple, I am confident that God has blessed my DH and me with the secrets of a happy marriage. Well, that is, according to the following article. As always, a big mahalo to Sue for sharing this with me. 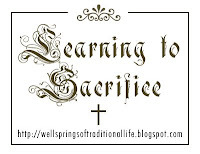 Won't you join Mrs. L. of the Wellsprings of Traditional Life as she calls us to sacrifice. 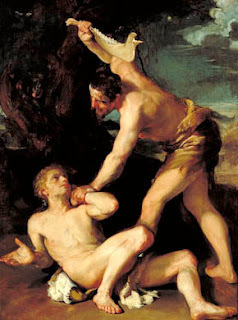 Making acts of sacrifice is one of my daily struggles...that is practicing dying to self. It is the little acts of mortifications in our daily life that will make saints out of us. This is one of the things God asks of us. The other is obedience. You will never complain about offenses, no matter where they come from, remembering that Jesus was saturated with ignominy from the malice of men He Himself had aided. You will excuse everyone with Christian charity, keeping before your eyes the example of the Divine Master who excused even His crucifiers before the Father. I am sharing with you this because it a something my son often tells me...that he needs to hear encouragement from both his father and me. A little boy said to his father, "Let's play darts. I'll throw the darts and you say, `Wonderful!'" Here is a boy who was not afraid to ask for the encouragement he needs. Maybe we all have something to learn from him! Fr. Brian Cavanaugh, relates a story about the devastating effects of discouragement. Dante Gabriel Rossetti, the famous 19th Century poet and artist, was once approached by an elderly man who asked him to look at a few of his sketches and drawings. The gentleman wanted to know if the artist thought they were of any value. As gently as possible, Rossetti told the man that the sketches were of no value and showed little talent. He apologized for the harsh assessment but said that he believed he should be honest. The visitor was disappointed but asked the artist if he could take a look at just a few more, which were all done by a young art student. Rossetti looked over the second batch of sketches and immediately became enthusiastic over the talent they revealed. "These," he said, "oh, these are good." He went on to say that the young student shows much promise and should be given every help and encouragement, as he may have a great future if he will study and work hard. The old man was deeply moved. 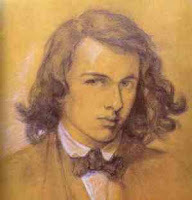 Rossetti asked, "Who is this fine, young artist? Your son?" "No," replied the visitor sadly. "It is I - forty years ago. If only I had heard your praise then. For you see, I became discouraged and gave up too soon." Mother Teresa wisely said, "Kind words can be short and easy to speak, but their echoes are truly endless." Sometimes it may be enough to just say, "Wonderful!" 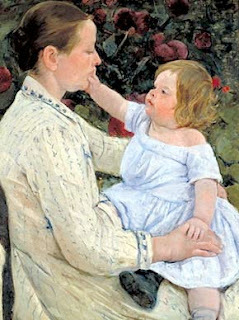 Parents are often obliged to correct their children over and over again - about the same thing. They would really prefer not to have to do it, but if they didn’t they would be guilty of sinning by omission. Priests feel the same way. One of the things that we often have to correct people about is the use of immodest clothing.